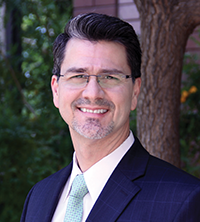 Governor Doug Ducey appointed Misael Cabrera as director of ADEQ in August 2015. Cabrera had previously served as the agency’s deputy director since October 2011 under former director, Henry Darwin. In this role, Cabrera functioned as chief of staff, directly overseeing operations, including budget and administrative support functions. With Darwin, Cabrera led ADEQ in an agency-wide transformation, applying lean principles and techniques to deliver better, faster, cheaper, more cost-effective environmental protection for Arizona citizens. Before joining ADEQ, Cabrera worked as Senior Client Leader for Haley & Aldrich’s Industrial Environmental practice where he planned Arizona’s business development strategy and worked on several key accounts. Prior to that, he was Environmental Manager with AMEC, where he was responsible for the environmental business in Arizona and led a multidisciplinary group of professionals that delivered environmental projects for industrial, municipal and federal clients. Cabrera started his career at ch2m HILL Inc., where he served in a variety of roles including Business Group Leader for the Environmental Business Line in Arizona and Project Delivery Leader (PDL) for a Department of Defense program across Arizona, New Mexico, Texas and Florida. As PDL, he also worked in ch2m HILL’s Milano, Italy, office, where he managed to learn a bit of Italian. Cabrera is also fluent in Spanish. He has a bachelor's degree in Civil Engineering and is a registered professional engineer.